It holds peanut butter & jelly together, you’ve got to love that! It is a symbol, it is pretty and so many artists have made it into art. I love putting an ampersand into spaces because I love the meaning that adding a baby to a family is another reason for an ‘&’. Does that make sense? You know what I mean? 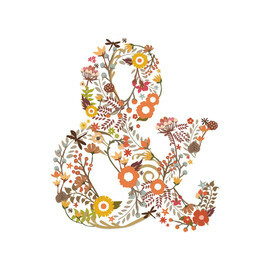 So, do you like using ampersands in your decor? 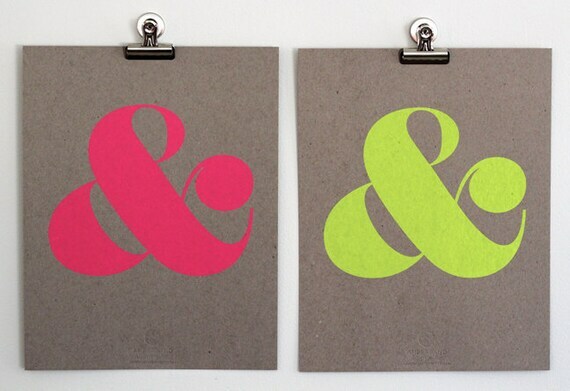 Such cute ampersands! I have a silver metal one that I use on my bookshelves in my basement. I really love the one from Minted! Love the Minted one too! It's so cute!